Ohio Valley Precision, Inc. - Precision Industrial Tooling, Patterns, & Molds. Ohio Valley Precision can produce complete solutions for your custom industrial tooling needs. We combine engineering experience and advanced manufacturing capabilities to produce the highest quality custom tooling. Our knowledgeable staff of toolmakers are committed to provide optimal, cost-effective solutions for our customers with quick deliveries. 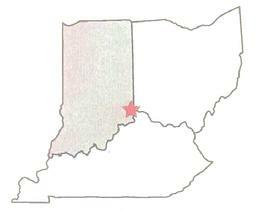 Ohio Valley Precision is located in southeast Indiana, 25 miles west of Cincinnati. We are conveniently located to serve customers throughout the Midwest, and offer delivery on our own trucks.